Stories in this book, thematically bound by relationship flux and the impact of culture, Dean experiments beautifully with style and storytelling devices in each piece. M. Dean embraces and explores nostalgia with rare fervency in her debut graphic novel. Actually a series of short stories, I Am Young shows how certain classic albums inflect the lives of an assortment of teens and twentysomethings living (mostly) in the '60s and '70s ... People talk about nostalgia being bittersweet, but in Dean's case it's mostly just sweet. It's ironic that the best parts of her book are the ones that run counter to her rather cloying themes. While her characters sigh over their angsts, Dean's pen riots all around them. The effect is unintentionally jarring, but intriguing. This book about the past makes you wonder what its author will do next. Each story in this poignant debut plays on how music is interwoven with the deeply felt emotions of its young characters, each of whom are poised at tipping points in their lives ... Dean’s innovative page layouts and competing narrative perspectives between George and Miriam unfolds the complexity of their relationship and their desperate yearning for a singular, simpler time ... This stunning debut pulls off the rare feat of drawing about music with authenticity and charm. 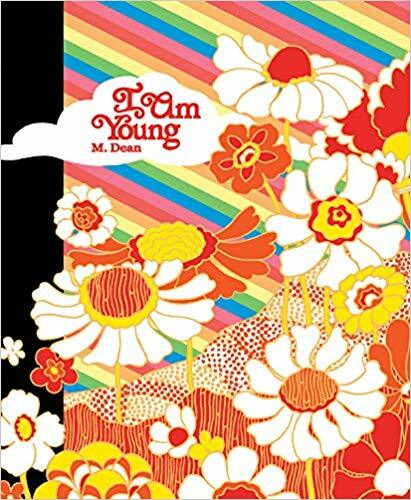 M. Dean’s I Am Young...is not a depiction of the importance of music in young folks, but an examination of its place in young identity and relationships ... And so while the focus of Dean’s book might appear to be music, it’s really just identity, who you are and who we are together. 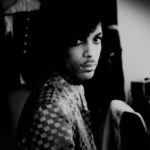 Music becomes something we cling to in an attempt to find clarity and definition to ourselves and any situation, to bring order to the chaos of both the moment and the extended drama of life, but as an art style, music is the presentation of these more personal circumstances. Music is the announcement of who we are, but Dean is just as committed to depicting what lies under the songs. What did you think of I Am Young?